Mix the berries with the wine, sugar and vanilla and allow to marinate for 1 hour. Combine the whipped cream, rose water, meringues and kirsch and freeze until firm. 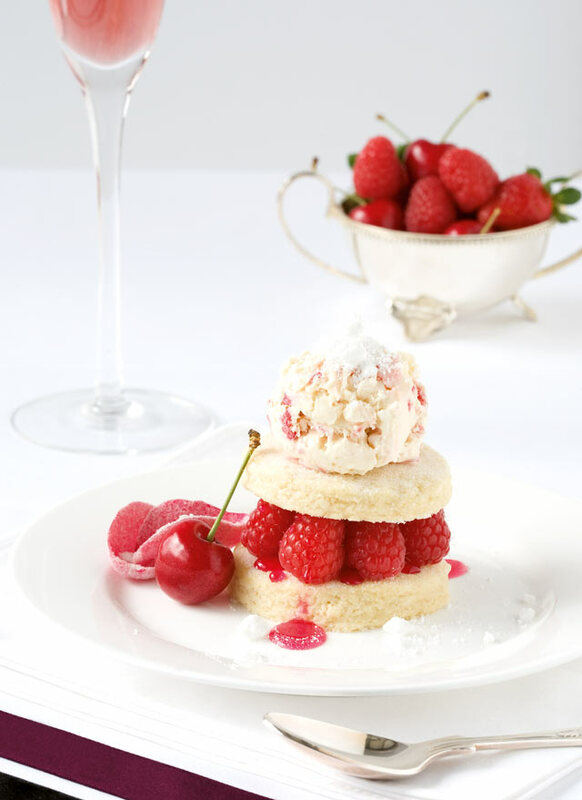 To serve, place a shortbread biscuit on each plate, arrange berries on top, top with another biscuit, more berries and finish with a scoop of the ice cream. Decorate with crumbled meringue and frosted rose petals.